The beauty in the Cotswolds it’s unparalleled. Beautiful houses, beautiful fields, beautiful hedgerows, beautiful villages, not to mention all the outstanding natural beauty anywhere you look. But in the summertime we have another kind of unparalleled beauty, that of the Cotswold Beer Gardens, found by so many of our pubs and restaurants. The Beer Gardens in the Cotswolds are some of the most wonderful hidden treasures of the region, and in them experiences not to be missed awaits. Long, lazy days with friends, romantic lunches or family meals, all taken in the most beautiful and secluded surroundings, away from high streets, away from cars and roads, little oases of hot summer sun, cold drinks and delicious food. Ahhhh. If your idea of beer garden perfection is one with a riverside feel, it doesn’t get better than the beer garden at The Trout Inn in Lechlade. Taking pride in being a down-to-earth type traditional English inn, the proprietors of The Trout Inn welcome their guests with great pub grub, ice cold drinks and a smile every day of the week. On sunny, hot days the garden with the river at the bottom is full of happy locals and visitors from far and wide, all happy and enjoying a real Cotswold experience. The Fleece Inn in Bretforton is a 15th century pub owned by The National Trust and thus steeped in interesting, local history. The Fleece Inn attracts locals and visitors from all over the country and, indeed, the world. The beer garden and grounds around The Fleece Inn are inviting, unspoilt and rustic. You feel at one with the history and the property when you’re enjoying a great pub meal or a cool drink at The Fleece. So, you’re looking for a beer garden with that picture-perfect look of the romantic Cotswolds? Look no further. The Lion Inn at Winchcombe is just that, a beautiful, tranquil space with that perfect look of the Cotswolds. Add the great service and the delicious home-cooked, locally sourced food and the great selection of wine, beers and other drinks, you’ve found your perfect space for when you visit the Cotswolds next. A really lovely dining pub in the Cotswolds, The Bell in the wonderfully sleepy village of Sapperton, is a charming pub and restaurant favoured by locals and visitors from far and wide. 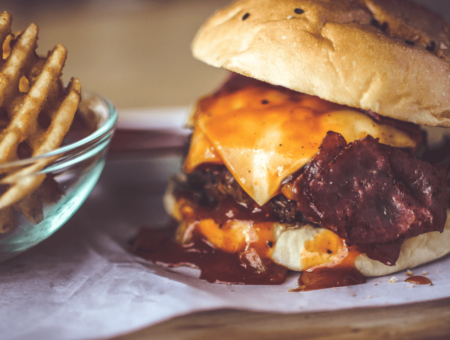 Frequented by a fair few of the celebrities local to the Cotswolds, this is one not to miss for a meal, a drink or if you have several hours to sit in their gorgeous beer garden. 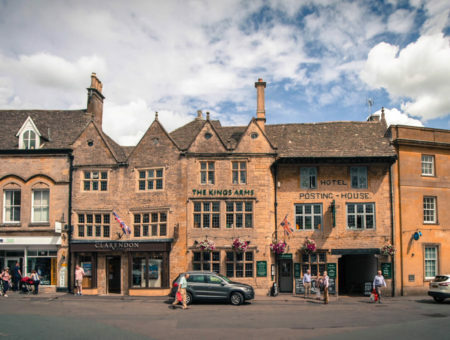 Right in the centre of one of the most beautiful villages in the Cotswolds, Chipping Campden, is The King’s, home of one of the most beautiful beer gardens in the Cotswolds and one of the very best chefs too, Head Chef Ian Percival. 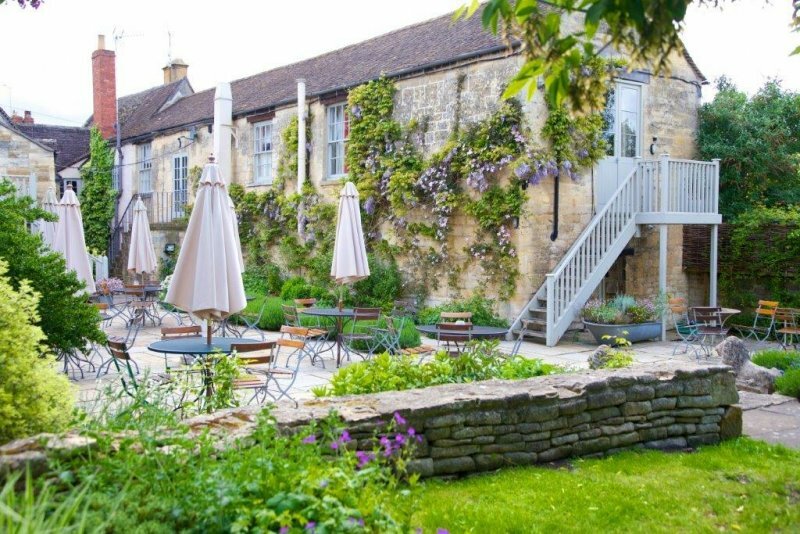 One of our all-time favourite places to eat and to spend some quality time with family and friends, the King’s and it’s Beer Garden is beautiful, tranquil and just plain perfect on a sunny day in the Cotswolds. When you drive through beautiful Bourton-on-the-Hill, you pass one of the most picturesque pubs in the Cotswolds, Horse & Groom, when you get to the top of the hill. If you don’t pass, but instead go in (which we highly recommend that you do, of course! ), you find exactly the kind of beer garden that you would imagine finding behind a picture-perfect Cotswold pub in the middle of a beautiful, little village, one with gorgeous views in the most pretty and secluded setting. 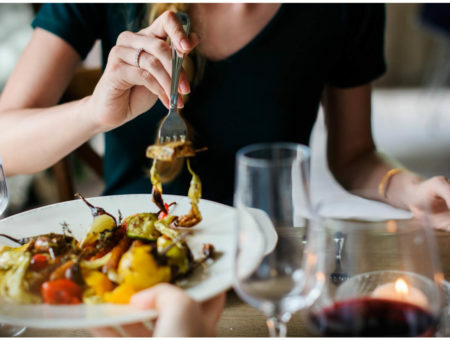 Horse & Groom is among the very best eateries in all of the Cotswolds, one not to miss when you’re next in the Cotswolds. As pub gardens go, the garden at The Bell in Alderminster is as good as it gets. Beautifully decorated and furnished with nice little pockets for privacy and an enormous lawn for kids and dogs to frolic and have fun. And with the perfect pub garden comes the perfect pub meal and this, too, is what’s on offer at The Bell. This is one of our favourites, one we keep coming back to, not least when the sun shining and we can sit for hours and enjoy the super food and the super surroundings. Just off the High Street in wonderfully buzzing Burford, is a garden where it is like time is standing still in the best way possible! Imagine you’ve been out and about touring and sightseeing in the Cotswolds, it’s the end of the day and all you want to do is kick back with an ice cold beer while chatting with your travel companions and waiting for a nice, hearty and delicious meal served al fresco, not a worry in the world. Well, The Angel at Burford is where you will want to be. A wonderful Cotswold pub serving great food, wines and beer, offering great service and cosy surroundings, inside and out. The garden is a real oasis of calm, cosy Cotswold atmosphere, truly the perfect beer garden for miles and miles around Burford. A truly wonderful Cotswold country pub, The Wheatsheaf in Northleach has a stunning garden, an amazing cuisine and wonderfully attentive and professional staff… you can’t ask for more in a Cotswold country pub and The Wheathsheaf is definitely one not to miss when you’re looking for an amazing beer garden in the Cotswolds. In the pretty village of Chadlington, you find the wonderful The Tite Inn, a pub with a garden that is just magnificent. Absolutely perfect for a day in the sun or an evening of al fresco dining, the garden and the lovely staff at The Tite Inn will welcome you and your friends or family with open arms. Great food, perfect surroundings and even a climbing frame and slides for the little ones, the garden at The Tite Inn is just perfect for those sunny days and evenings in the Cotswolds.